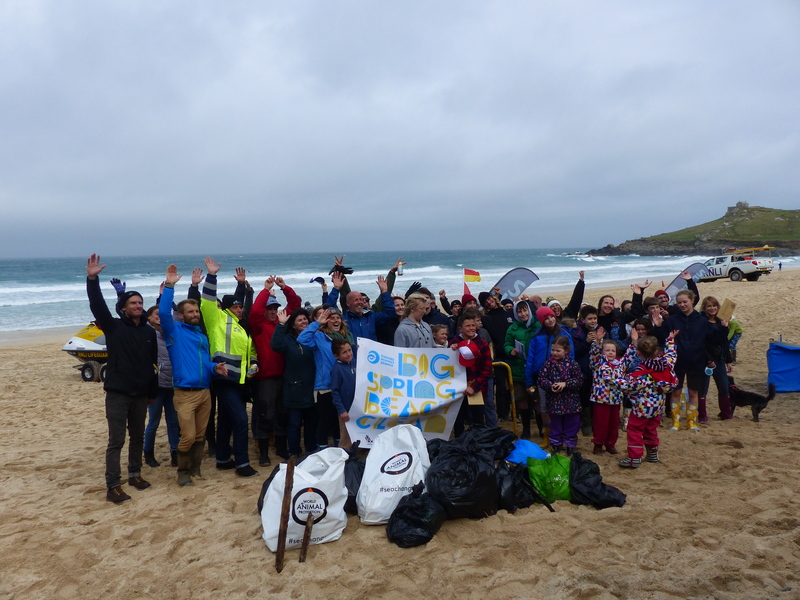 A fine turnout of club members answered the call to support Surfers Against Sewage’s Big Spring Beach Clean 2015 at Porthmeor on Saturday. 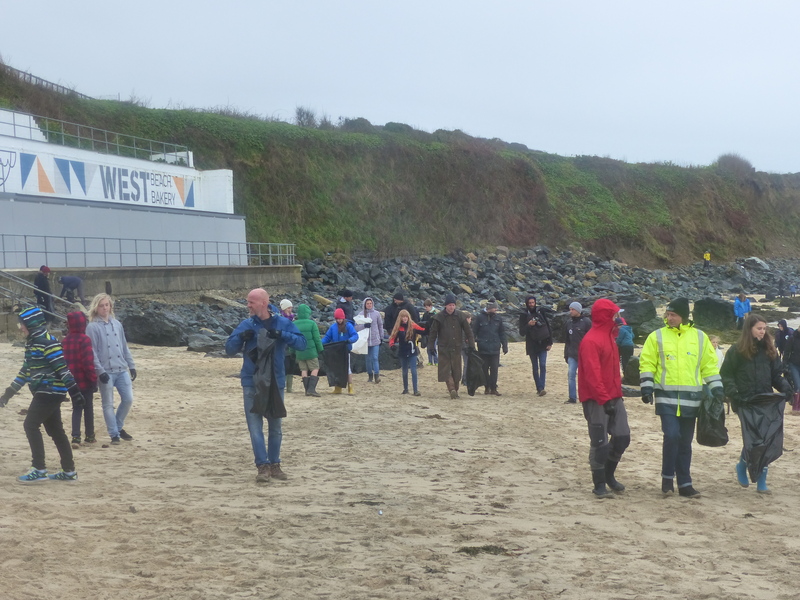 It was a morning that demanded wet weather clothing and a commitment to the cause, so it was heartening to see so many of our families joining other public-minded St. Ives folk at the saintsboardriders gazebo to help clean the beach and lower cliffs of litter. Our main picture shows the pickers with their haul after one sweep of the beach. Chris Rainsford of Surfers Against Sewage and Harris of the St. Ives Surf School welcomed the volunteers with introductory addresses about the work of SAS .They described the varieties of litter we would find on the beach, it’s provenance and the dangers it poses to beach users and marine wildlife. 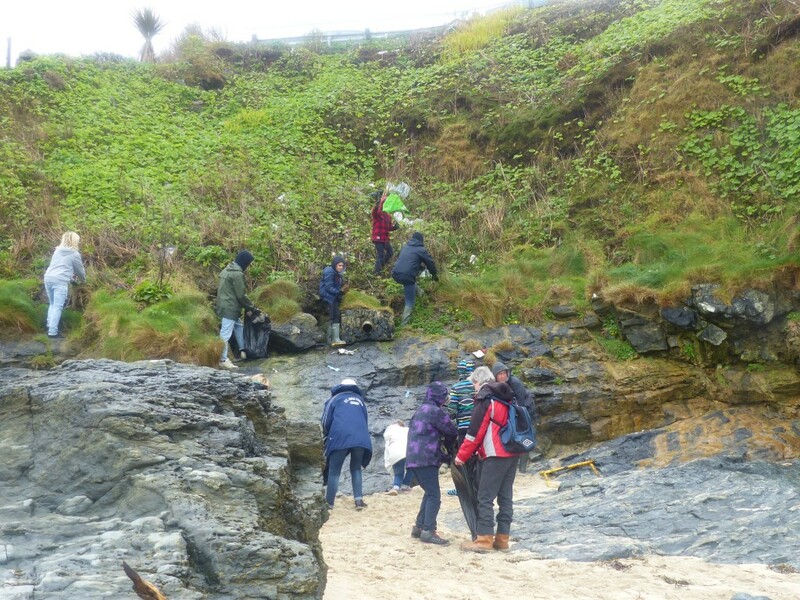 Then, with gloves and bags distributed to all, we set off to tackle what already appeared to be a clean beach. Dropped from the car park or washed in from the sea? Porthmeor is a beach which is cleaned all-year-round, yet it still rendered all those bags of garbage when tackled by an army of pickers with a fine toothcomb! It is troubling to imagine the amount of flotsam and jetsam which could be found on more remote cliffs and beaches by a similar team. And that, in itself, tells us why we must support the work of Surfers Against Sewage!